edddison toolkit offers a cutting edge way to interact with 3D files. It’s a platform comprising a collection of different programs and interface technologies. It can integrate a wide range of hardware input systems including the edddison hardware interface, tablets and touch screens. Markers control your 3D software. A marker is either a real printed barcode or a virtual marker created on touchscreens. The coordinates (position, rotation and marker number) are detected by a camera or on the touchscreen. The coordinates are read and sent through the edddison platform allowing you navigation on your 3D data. It offers the simplest user interface, just by the moving of your hand. Tangible objects are easier to use and enable multi-hand control. Moreover, people love cool-looking control objects, which can be made using 3D printers, laser cutters or simply by printing them on paper. edddison supports webcams or high quality cams to track real objects. Add a marker to a tangible (physical) object, figure or whatever you like. These objects are the real representatives of your ideas in the virtual world and they help users to navigate through your 3D data. These control objects can be made using 3D printers, laser cutters or by simply printing them on paper. People love cool-looking control objects, you will see. Control objects are the first visible item for users. These objects are the real representatives of your ideas inside the virtual world; they help navigate through the 3D data. We recommend designing these objects carefully, funny and always customized for each project.So, be creative and make sure to design these objects carefully in keeping with your project. edddison enables as well multi-user and multi-hand control making the 3D data navigation a collective experience. A changeable marker is a special control object for selecting or clicking on something in an application. 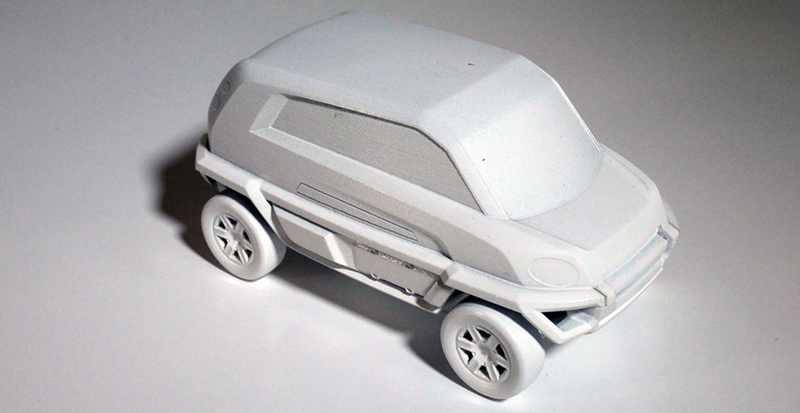 We provide 3D models that you can purchase or print. These are also available with edddison PRO versions. Use edddison hardware or your own hardware such as webcams, tablet PCs (Android, iPad) or touchscreens. It is possible to integrate additional interfaces like RFID or gesture technologies. Please ask us if you are interested. Apply your own hardware such as Android tablets, iPads or touchscreens. The advantage of using tablets is that everybody has one and they can be used to start controlling 3D software immediately. Apps are free and ready for download at Android and Apple apps stores. Apps for touchscreens working with Mac OS X and Windows are part of edddison. Click on the link in edddison for downloading. Control the design process on your computer directly with the edddison editor or use a Web browser to interact.